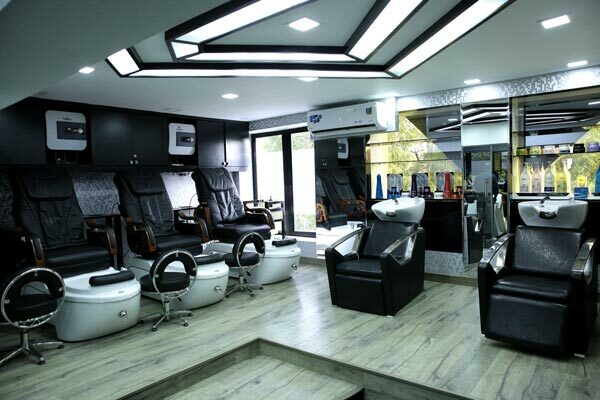 F Salon in M Block Market, Greater Kailash is a double storied property with one floor dedicated to beauty services and the other for spa treatments, waxing and facials. It is beautifully done up with a color scheme of black, silver and white. 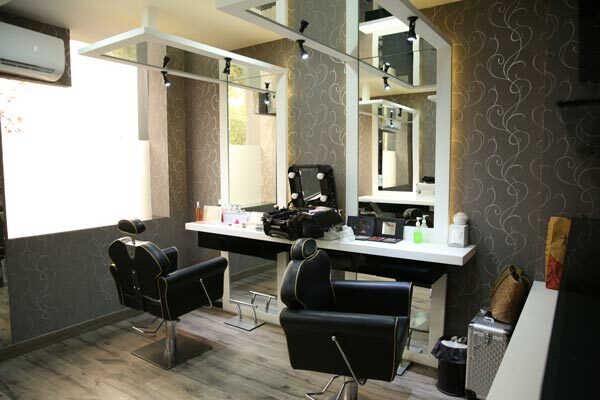 From comfortable massage chairs for the mani-pedi area to the washing and haircut stations, the salon spells luxury. You’ll see fashion shows running on loop on the LCDs of every wall making it easier to pass away the time between your services. I consulted with their senior hairstylist, Ugen for an ash blonde balayage hair color. I had a slight copper tint to my hair which I wanted to cover up so we decided to go for a darker global color and pre lighten the ends for the balayage. This was done in 2 sittings, a week apart so that the hair is not damaged so much. The hair color took over 5 hours in total and results were great. While the final result was far from what I expected but Ugen did an absolutely fabulous job with the color. I completely detest yellow or copper tones when it comes blonde hair and he gave me the precise color that I wanted. The pictures don’t do it justice but you can check my Instagram for more images of the hair color. However, I feel it looks more ombre than balayage and while I was initially very impressed but now that the color has settled down, I feel it looks too blonde and I’ll probably get it rectified. Besides the hair color, I opted to try out nail extensions again. I was keen on getting gel nail extensions as they have been trending for quite some time but after a discussion with the nail tech, we decided that acrylic nails will be more suitable for me. Acrylic Nail Extensions last longer and are much more suitable for people who tend to do house chores or type alot which was the case with me. I have tried gel nail extensions last year and they started chipping in 2 weeks which was a big bummer. However, I wanted a glossy finish so the acrylic extensions were topped with a gel sealing. I absolutely loved the french manicure with the mint accent nail. It’s been more than 3 weeks since I got the extensions and they look just as new and the compliments keep flowing. They are definitely stronger than gel nails and as for the damage; I hear it’s quite over hyped. 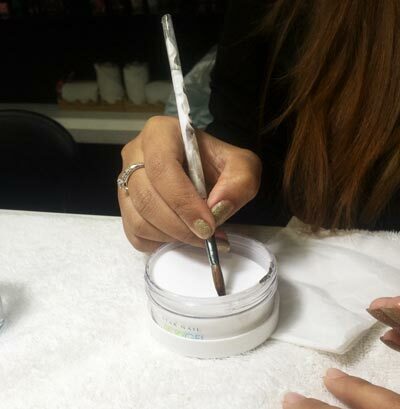 My nails became weak even after I got gel nails as you need file off the sealing. Nail extensions are perfect for brides to be especially for engagements when one needs the perfect length and manicure. 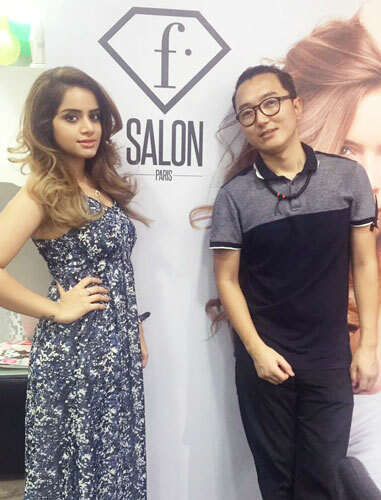 Overall, I had a good experience at F-salon. The staff was very friendly and courteous. 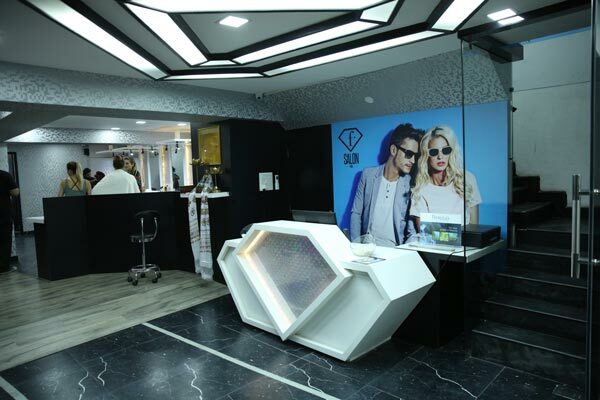 If you’re looking for a decent beauty salon in South Delhi, then you must check them out.